high-density base foam to provide support and comfort. It also comes with a smart zipper cover so it is easy to clean. Choose an optionSingle - 72" x 36" x 8"Single - 75" x 36" x 8Single - 78" x 36" x 8"Double - 72" x 48" x 8"Double - 75" x 48" x 8"Double - 78" x 48" x 8"Queen - 72" x 60" x 8"Queen - 75" x 60" x 8"Queen - 78" x 60" x 8"King - 72" x 72" x 8"King - 75" x 72" x 8"King - 78" x 72" x 8"
COMING SOON! PRE-ORDER BY 20th FEB & SAVE!! 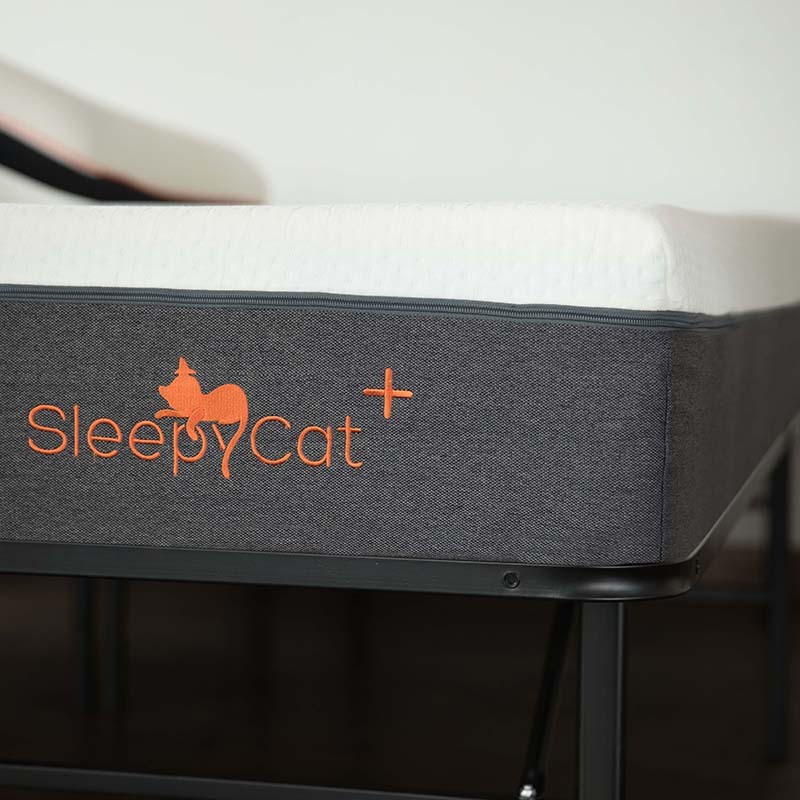 The new SleepyCat Plus is here. Just as velvety smooth as the Original mattress, only thicker, firmer and cosier. 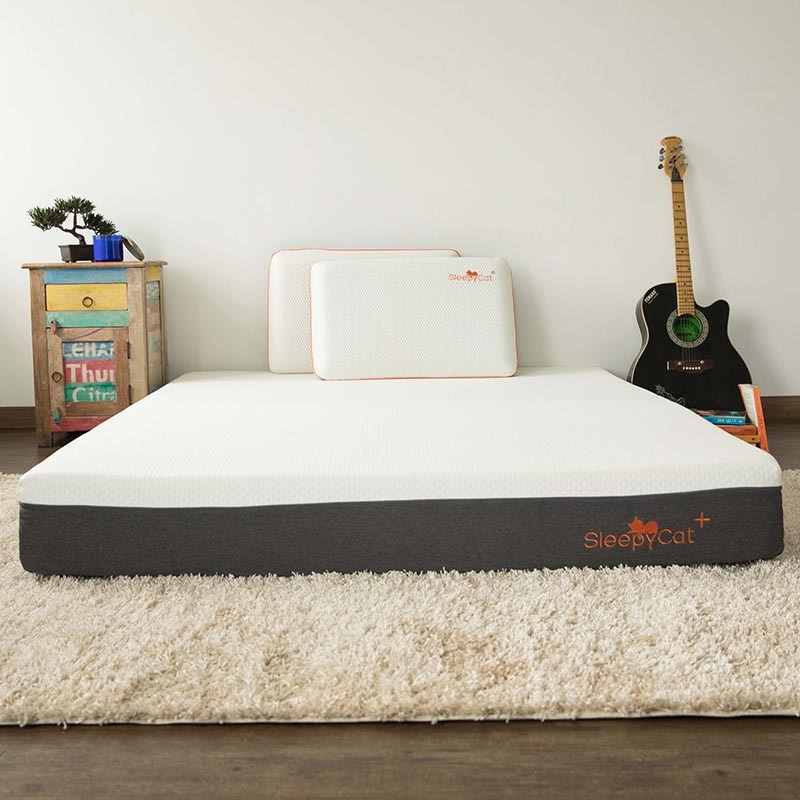 This 8 inch luxurious mattress strikes the right balance between comfort and firmness, giving your spine much deserved support and relaxation. 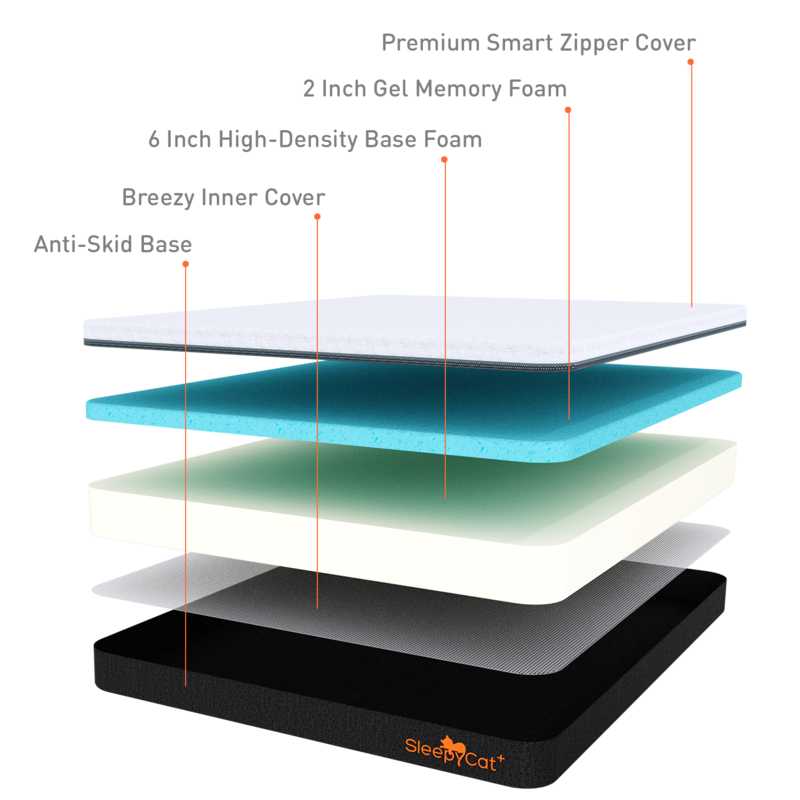 It has one layer each of premium quality Gel Memory Foam and High Density Foam. The Gel Memory Foam prevents motion transfer so that you can sleep peacefully even when your partner moves, and keeps you cool all night. 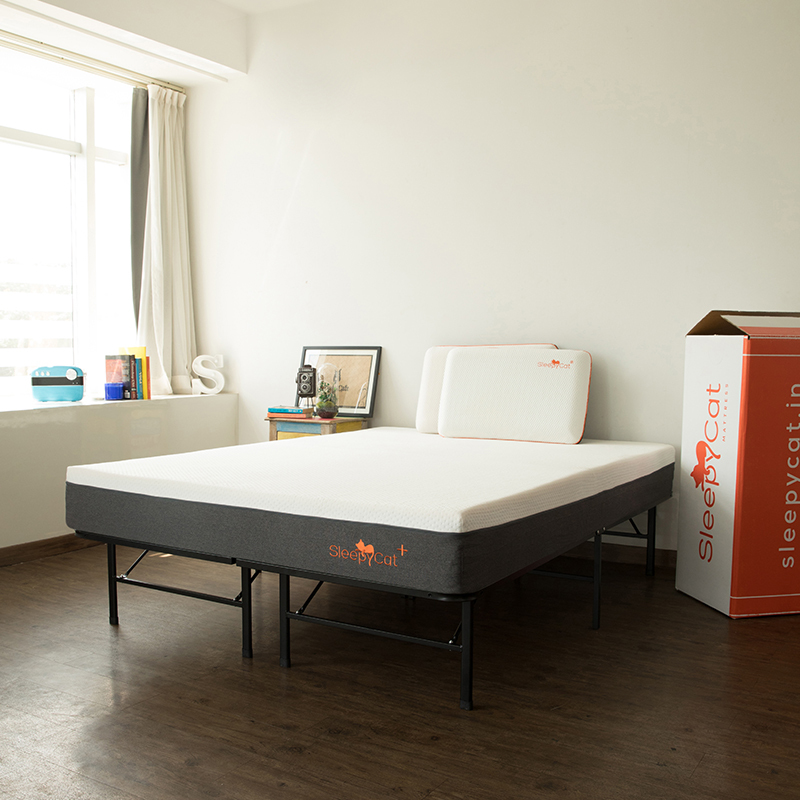 The High Density Foam gives shape and makes the mattress durable. You might not leave your bed again! SleepyCat Plus’ ultra-premium Smart Zipper Cover is made of high GSM knitted fabric for flexibility and smoothness. The cover unzips in 2 parts, top and bottom, which can be taken off separately for convenient washing. This cover has tiny holes to allow breathability and ventilation, and a 4 way stretch that grips your body and creates an anti-slide effect. When you move, it moves with you! The SleepyCat Plus scores between 6 and 7 on our Firm-O-Meter. Softer and cosier, this one is purrfect for those looking for a mattress that is not too firm. STEP 1: Remove everything from your mattress, keep it bare. STEP 2: Make sure the ruler or measuring tape is flat on the mattress. STEP 3: Measure the width and the length of your mattress from one outer edge to the other outer edge. That is, from left seam to the right seam for width, and from top head to the bottom foot for length. Now that you know the size, let’s upgrade your sleep with SleepyCat! STEP 1: Carefully slide the SleepyCat mattress out from the box, on its side. Avoid using any sharp objects to open the box as you may unintentionally slice the mattress. STEP 2: Position your rolled up SleepyCat mattress on any solid or slatted foundation and remove the outer plastic wrap. Unwrap and unfold the mattress, and tear away the inner plastic. STEP 3: Watch the mattress take shape. It could take upto 3 hours to fully expand and 24 to 48 hours for the mattress to rebound to its original shape. And voila! The purr-fect mattress is ready for you! Like anything new, your mattress may have a newish smell because it has been freshly manufactured. Please rest assured that this is normal, perfectly safe, and the smell will fade within days of using/airing.